In a soup pot, heat water or broth over medium heat. Add garlic, onion, carrots, squash, and cumin. Sauté until golden, about 10 minutes. Stir in chickpeas, stewed tomatoes, raisins, cinnamon, salt, crushed red pepper and 3 more cups of vegetable broth. Bring to a boil, then reduce heat to simmer on low, 30 minutes or until vegetables are tender. Season to taste. Serve over quinoa. Recipe submitted by Sara Glassman of Vine Dining, November 2013. 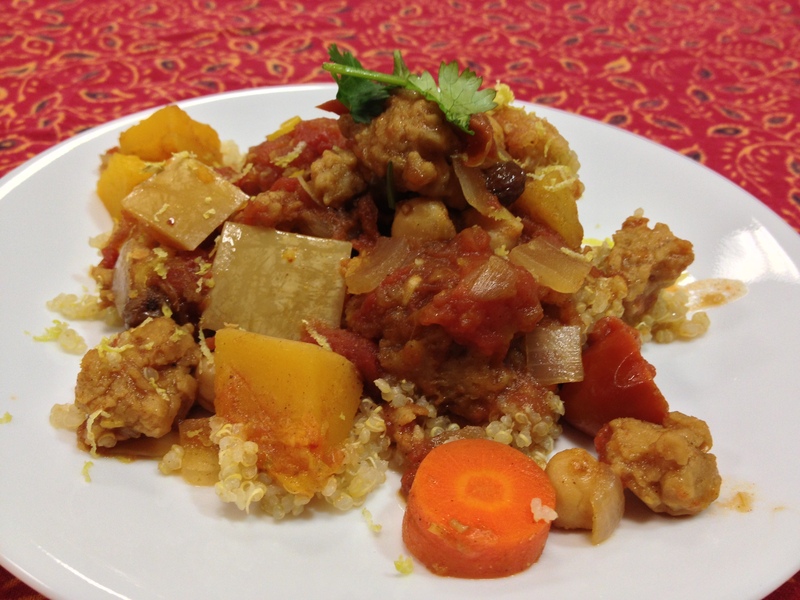 This entry was posted in Local Recipes, RECIPES and tagged butternut squash, healthy recipe, quinoa by Healthy Living Bucks and Montgomery Counties. Bookmark the permalink.